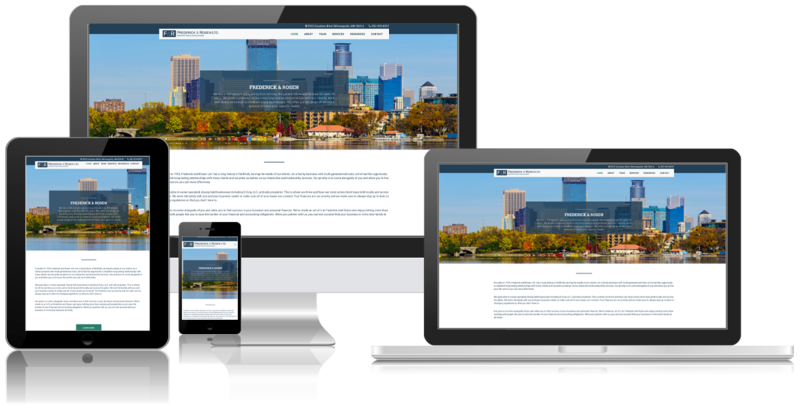 A full-service accounting firm serving the greater Minneapolis area for over 40 years. Frederick & Rosen Ltd., are CPA’s who pride themselves on building long-lasting relationships with their clients, both individuals and small to medium-sized businesses. They needed a website that appeals to a wide audience to showcase their services and also provide resources to their clients, and Blindspot Advisors delivered just that. 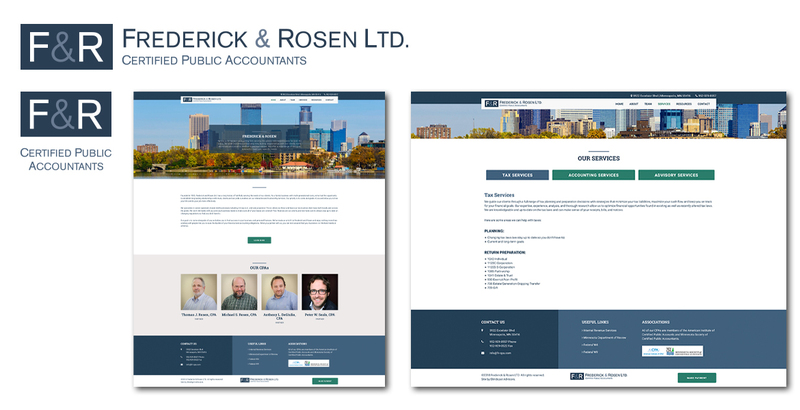 This user-friendly site highlights the longevity of Frederick & Rosen as a trusted CPA firm in the Twin Cities and the long-lasting relationships they seek to establish through their highlighted services and resource offerings. Since 1955, Frederick & Rosen, Ltd., have made their clients’ finances their first priority. They chose Blindspot Advisors as their partner to create a digital space that not only highlights their services, but also their commitment to easing the burden of their clients’ financial and accounting obligations.